Interesting history. 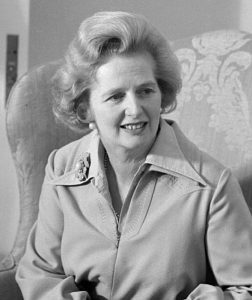 I might be quite unusual in the sheer length of time I’ve been involved in housing and its problems, so I have seen more than most and I always remind people that prior to Thatcher’s deregulation of the PRS to increase its size, we didnt actually need it because there was loads of social housing. I worked in night shelters at that time and we had a massive resettlement programme, getting street drinkers into council flats that nobody else wanted. The social engineering of creating a bigger PRS cannot be separated from the attack on social housing which ISNT the right to buy on its own but the concomitant discount and limits on social landlords building replacements. It didnt create a level playing field or choice for renters or landlords. It merely killed off the competition and thats what we’re llving with now. When controlled tenancies were first introduced in WW1 the government also froze mortgage rates to protect landlords. Rents were frozen at 1914 levels. Tenants who paid the rent and followed other conditiond of the tanancy could only be evicted if they caused a nuisance or the lanlord needed the property for his own use or that of an employee. When it was extended in 1919 houses built after April that year were excluded. In 1920 the rateable value limits were greatly increased (from £35pa to £105pa) and some conmtrol was appl,ied to furnished lettings for the first time. Mortgage rates were allowed to increase 1% and rents up to 40% (15% for war time inflation and 25% if the property was repaired to a satisfactory standard).Widows were given a right od succession. Houses built after April 1919 were excluded. In 1923 a system of gradual decontrol was introduced. A later report found that this worked too slowly for larger properties and too quickly for smaller ones. So in 1933 it was made easier for larger ones to become decontrolled and smaller ones would no longer become decontrolled. Also that year widowers were given a right of succession. In 1938 all houses over a certain rateable value were decontrolled (£35 in London). With the ourbreak of war all houses under s a certain rateable value were brought back under control (£100 in London).This was intended as a temporary measure, but the state of emergency was not officially ended until 1968. In 1949 rent tribunals were introduced which upon application by either the tenant or landlord could determine a reasonable rent/. They also had the power to suspend a notice to quit for up to 3 months at a time. in 1954 landlords were encouraged to repair properties by being allowed an increase in rent for doing so.In 1957 the same was done with regard to converting properties to use smokeless fuel. A mentioned the 1957 decontrolled higher value properties, and brought in a formula for determining rents based on rateable value. In 1958 recovery of possession except by legal means was prohibted for somne properties released from control. in 1961 landlords were made responsible for many repairs to dwellings. In 1964 help was provided for housing associations and local authorities were given the duty to comprl the improvement of houses without basic amenities. Grants were made available for this. It was made illegal to evict without going to court with few exceptions.This was a temporary measure ahead of the major reform planned for the following year. A committee on housing in London reported to the labour government that there was an acute shortage of rental housing and that sneither trict control or piecemeal decontrol would work. This lead to tthe rent act of 1965. This was probably the biggest reform of the last hundred years, It created a new type of tenancy (the protected tenancy) and applied it to most new residential tenancies. Tinkering continued so in 1977 most of the legislation was consolidated into 2 acts, but they did not change much. It did cobvert any remaining controlled tenancies into protected ones. In 1989 the penalties for unlawful evition and harassment were increased. 1 When did the idea that you could end a tenancy on a no fault basis enter the fray. 2 Am I right to assume that tenancies were always granted on a fixed term (which is sort of what a shorthold is?) and thus a landlord just gets the property back at end of the term (no court order necessary pre-‘Rent Acts’)? 3 Was it the Wilson administration which brought in the grounds and not ending a tenancy without court order? 1. I think it was the Housing Act 1980 which first introduced the ‘protected shorthold tenancy’. 2. I’m not a legal historian and can’t really say about early leases. But the Law of Property Act 1925 s54(2) allows a tenancy to be created simply by someone living in a property and paying rent. 3. I think so. Although again I don’t know for sure when the right to evict tenants without a court order (eg by forfeiture) ended. 1) The idea that landlords could evict without giving a reason is very old. It was only in WW1 that landlords were prevented from evicting some tenants without a reason, i.e. tenants were given security of tenure. That applied to controlled tenancies only. 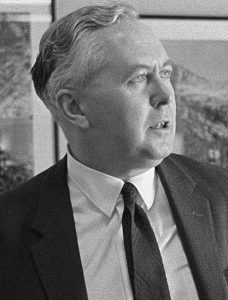 With the 1965 act and the introduction of protected tenancies, it was applied to virtually all new residential tenancies and became the norm. It was in 1989 that the AST allowing landlords to get a possession order without giving a reason after the fixed period was introduced. 2) Land law used to be a mixture of feudal law and contract law. Feudal law originally required that land be held by someone capable of performing their feudal dues -originally fighting for the king. Leases were used tp add a bit of flexibility. But the conflict between the two legal systems led to a lot of weird things. One was the idea that leases could not be of indeterminate length, though I believe until the death of a specified living person was allowed. So you are not entirely wrong, but I think that had ended before the 20th century. 3) The need to go to court and have a ground for eviction existed for controlled tenancies pretty much since they were first created in WW1. Originally courts court agree on any grounds they thought satisfactory. Wilson’s government did extend them to most tenancies. Just out of curiosity – a hundred years ago, some 80% of the population lived in rented accommodation. Who actually owned the properties? Clearly not all ‘lords of the manor’. My parents bought the house in which they lived – from their landlord* – that was in about 1938. Three bedroom end terrace in a town. Some sellers would presumably have been speculative builders or developers – but who else? No btl mortgages in those days, so how would people come to own multiple properties? * The story goes that the landlord did not want to sell to my mother (father away in the Navy). So she approached a solicitor to put forward her offer without revealing who she was. By the time the seller/landlord found out, it was too late. You could’t get away with that today. Industrialists buily houses for workers to live in. Builders built estates speculatively. And the medieval ttradition of lords building/extending towns on land they owned to increase the rents (compared to farming). My home town went from a village of a few hundred to a town of about 20,000 if around 30 years in the early part of the industrial revolution, starting in the 1780s. This was done by the local lord according to a plan which can still be seen in the centre. Around a third of the town is still owned by the trust set up for his heirs. I’m really interested in this sort of history, it provides a useful perspective and its perhaps useful to look at what has changed in renting world since the introduction of s21 on the 15th January 1989 and today, which is mainly down to the demographic of private renters. I dont know the demographic of renters pre the 88 Act but now we have older people and families renting for sure, that might previously have been either social tenants or home owners. Champions of short term tenancies always point to flexibility and choice but I dont think families or older people want either. They want a stable home, which short term tenancies and s21 dont guarantee. I think no fault evictions are immoral but I also think eviction by fault should be easier than it is and I honestly think that government’s announcement to abolish s21 has nothing to do with morality and everything to do with queasiness over a general election when Labour promise the same abolition and a general cluelessness about real housing problems, because the Tories are unable to see any solution to a housing problem that sits outside the Overton Window of a free market economy. Some renters want stable homes, some don’t There was a proposal (in Scotland I think) for minimum tenancy lengths of 12 months, which would not have suited students who prefer to only pay for 10. .
Ben! It’s not “tosh” is it. It’s profound to have the Tories admitting that section 21 is a failed policy. Profound ! This post is actually a re-write of an article I wrote for one of our training courses in about 2012. I got most of the background information of this history from one of the Law Commission’s Renting Homes reports which I think were published in about 2006. But I agree, Ben, its really interesting and I think it’s important to look at what went before when planning what to do in the future. I hope some of our legislators read up on this. These people are in the minority. They can negotiate *and pay for* extra security of tenure if they wish. Scrapping section 21 means that now all tenants will pay for it whether they want it or not. A perverted form of communism brought in by a Tory government- Who’da thunk it?
. .I’ve just bought a flat, with an ‘advance on my inheritance’ from my father. Prior to that I was living in rented accommodation since 2000. Twice I’ve been served with section 21 Notices for no reason associated with my tenancy. Once because I complained when the landlord painted over black mould in the bathroom and it reappeared within weeks; once because the landlord died and his heirs wanted to sell the flats with vacant possession. On several other occasions I’ve had to fight off proposed rent increases at 3, 4, even 5 times inflation and been threatened with a section 21 Notice. On another occasion there were complaints – from one adjoining tenant who told me herself that she was chronically sensitive to noise – that I was listening to the radio at levels which I tested at just over 60dB, which is rated as ‘normal conversation’. The landlord’s agent wasn’t interested in my argument, nor in my suggestion that the local authority should be asked to consider whether my listening levels were unacceptable. ‘Stop the complaints or it’s a section 21 Notice’. In my view, 30 years of section 21 have insulated landlords and agents against the realisation that this is a contract in which they landlord agrees, in consideration of rent, to provide the tenant with A HOME. Rules such as: you can’t hang anything on the walls; you can’t have coat hooks in the hallway. Factors such as: I’m not going to tell you that there’s no TV aerial so you’ll have to buy a 12 month Virgin contract to watch TV even though I’ve refused to give you anything more than the minimum 6 month contract. Decisions such as: I’m not going to do anything about that hole in the bathroom wall under the basin because it will reduce my annual income; I’m not going to replace the godawful tatty kitchen unit doors because it will reduce my annual income; I’m not going to replace this cheap, nasty and tatty carpet with large unravelling patches because it will reduce my annual income. Agents who can’t be bothered to make someone available when you move in to show you where the stopcock is, where the electricity and gas meters are, how to operate the central heating and the oven, and when you point out you don’t have a key to open the meter box tell you that you can buy one in most corner shops. In 2012 I was asked to pay over £150 for an agent to carry out a credit check on me, at almost exactly the same time as a credit reference agency offered to carry out credit checks on behalf of my clients for £10 per check. 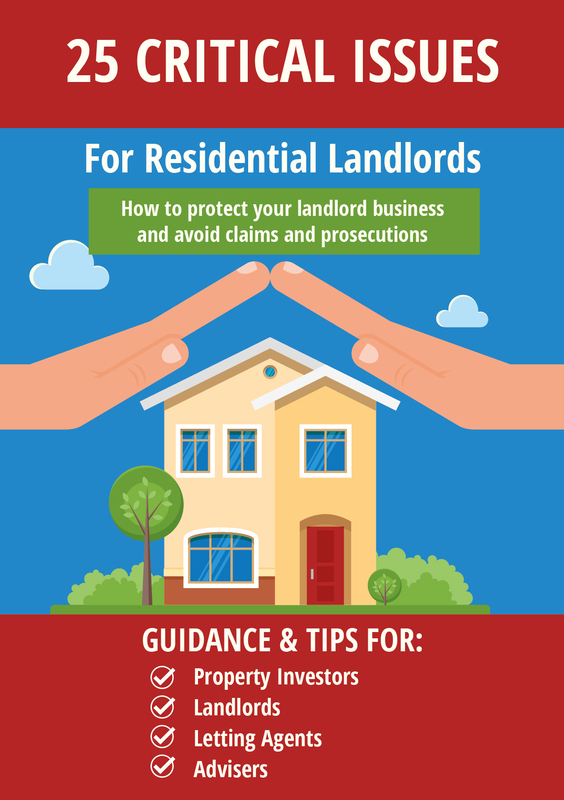 All these things are clear evidence that as far as most, or at least many, landlords and agents are concerned, nothing is of any interest other than the profit to be made. As a tenant, section 21 possessions have cost me nearly £2,000 in additional agency fees in finding a home to replace the one in which I was living. It’s important to know that this is all in the upper levels of the rental sector; unfurnished two bed flats in good modern properties in salubrious areas of the town. Landlord associations bleat about not being able to get rid of tenants but if the tenant misbehaves they have everything they need under section 8 HA 1988 as amended. Plus, additional mandatory possession orders for things like redeveloping the property or moving into it residentially. 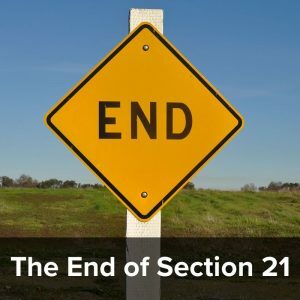 So why is section 21 required at all? So landlords can exercise unreasonable levels of control over their tenants. I cannot find any other reason. I’m posting from “the other side”, but I have to say, I feel this is an accurate and damning representation of the PRS. Do our tenancy agreements include clauses forbidding tenants from putting things up on the wall without consent? I’m going to sheepishly say yes, they do. We do explain to tenants that ask that they can hang whatever they want as long as the give the property back in the condition it originally was in. But yes, the existence of limitations such as those obviously sends the message that a tenant’s home is not actually their home. Is it reasonable to expect someone to ask for permission to hang a picture on a wall? No. It isn’t. We need to do better. Have we told tenants that the lack of an aerial is not our responsibility? I’ll hold my hands up – yes, we have. Do some of the properties that we manage have dated kitchen units? Could the carpets do with replacing in a few? Yes again. We’re guilty. On all three counts. The last few years have been turbulent when it comes to the PRS. The constant change that we see comes from very real and valid grievances that people have against the industry. Really, the industry has not kept pace with an ever-shifting reality. Renting today is seen as a temporary arrangement, something people do while they’re saving up for a house. It’s for the young, the single. Current practice in the sector is entirely geared around that mindset. But the fact is that many of my generation and younger will never be able to afford to become homeowners. One-size tenancy does not fit all, and certainly the current tenancies with their in-built insecurity are not suitable for people who know they will rent for the rest of their lives. However, sword does cut both ways: As we see longer security for tenants, if tenancies themselves are thought of as long-term affairs (perhaps even closer to leaseholds), the expectation for what a property should provide by default will in itself naturally shrink. Currently some landlords are reluctant to change the carpets during a tenancy because they see the tenancy as a temporary thing (“We’ll change it after the current ones leave”). However, landlords that expect the current tenancy to run for a decade or more? They’ll never change the carpets, ever. The house you let should be seen as your home, absolutely. However, the flipside of that is that you could be expected to furnish and redecorate and look after your home almost as if you were the homeowner. At least, that’s what I think would happen if a tenant is seen as the sole beneficiary of any home improvements. Is it still worth it? Is that trade-off fair? I dunno. Is this vision even realistic? I dunno. We live in interesting times. Would you take on a tenant that had been threatened and served with section 21’s several times? Once perhaps, if they were open about it with a credible story. Thanks for your intelligent comments Ikram. They are interesting to read and I welcome your honesty. Being a landlord requires work – as you describe. If someone does not want to do that work and wants to sell up instead that needs to be allowed. The situation you mention where someone inherits a property is an example. When I started as a landlord I had the knowledge that if I did not like it could change my mind and get most of my money back after 6 months. I would not have taken the risk without that safety net. Given how the PRS was contin ually shrinking prior to S21 being introduced I do not think I am the only one. It is unfortunate that a tenant usually brings the value of a property down, Geberally there is a bigger market for unteanted properties, but preventing landlords from legally getting vacant possession to sell has been proven tp be a bad idea.That would reduce the value still further for good landlords, but not as much for rogue ones. Rachman bought properties cheaply where there were tenants who could not be legally evicted, then used illegal means to evict them and increase the value. Making profits higher for rogue landlords than good ones is a good way to get rid of the good ones. Section 8 does not give landlords everything they need. It is so poor that even when they could use section 8 many lanlord prefer to used section 21. 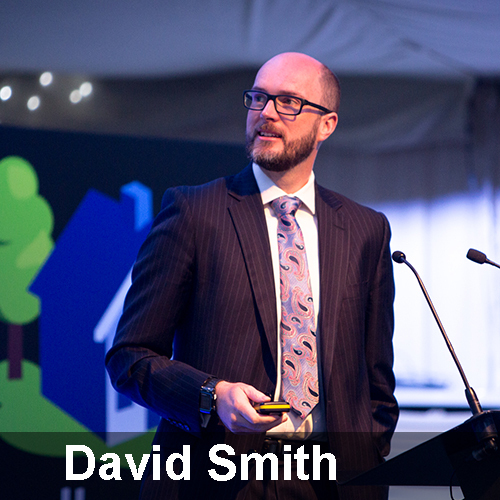 I did when I had a tenant who stopped paying.. Not that S21 worked that well – It took 6 months before he left. And in the £7k needed to refurb and that was over £10k he cost me. The proposal mentions improving section 8 so I am somewhat optimistic about it. The Scottish system that replaced their S21 equivalent looks like it should work to me, though it is too early to be certain. I hope people remind you there was loads of social housing because no one wanted to live in it, and for good reason.